At the end of 2017, I released Zelos, an independent feature film that I wrote and produced. 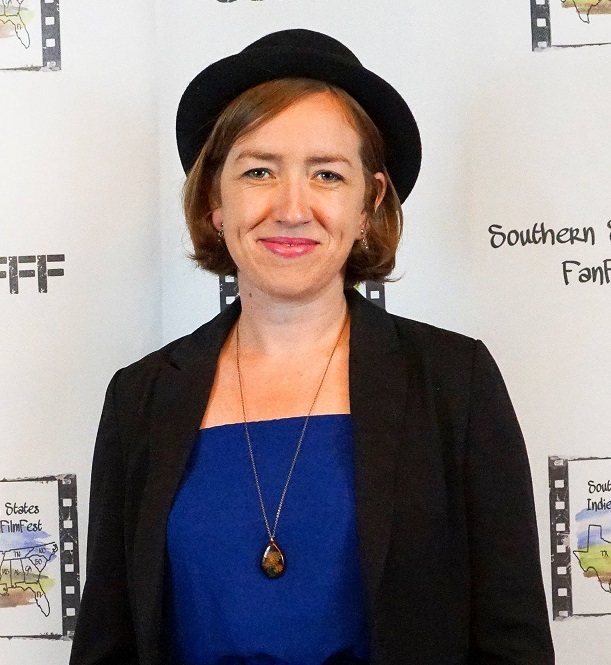 I spent several months through 2018 touring with the film at festivals and Q&A screenings across Australia and overseas – and was often approached for advice about how to go about writing a screenplay. Here are my answers to some of the most common questions people ask me about screenwriting. 1. How long does it take to write a screenplay? It all depends on the way you work and the amount of time you’re able to dedicate to screenwriting – but it is important to be realistic about what a lengthy process is ahead of you. The first draft of Zelos took me around a month working on it full-time. I then spent another year writing new versions, and must have had at least 20 different drafts by the time I finished. During this time I was only working on the screenplay on and off – each time I completed a new draft, I stepped away from it for at least a week, often longer, so I could come back to it with fresh eyes. 2. What do I start with: structure or scenes? Treatment. A film idea usually starts as a few sentences, so my first step is to flesh this out into a one or two-page treatment, which just means the story of your film written as prose. I then continue adding detail until I have a treatment of around 15-20 words. Scene breakdown. I turn the treatment into a list of scenes, describing what happens in each. This is going to change a lot over your draft process so don’t worry too much for now about getting it right. First draft. I write a TERRIBLE first draft based on these scenes – the purpose is really to see whether the structure is working. This enables me to go back to my scene breakdown and move things around, remove and add scenes. Index cards. I find it helpful to write each scene on an index card and stick them on the wall. On the bottom of the card, I write the purpose of the scene: if it doesn’t move the plot forward or reveal something about character, it needs to go. New drafts. The rest of the process involves working on structure and scenes at the same time – as I’m writing scenes, I’m constantly going back to the treatment to ensure the structure is working for the story I want to tell. 3. How do I know when it’s ready? A script is meant to be performed – so I organised a live reading with professional actors and invited around 50 people to come and watch. This was a confronting but necessary experience: I could instantly see what was working and what wasn’t from their reactions. I could also tell when the dialogue was clunky and didn’t flow easily from whether the actors struggled to read it. Afterwards I had a long discussion with the audience members, and based on this feedback, I realised I had to write another draft. 4. I’ve finished my screenplay – what do I do now? I had no idea what to do with the screenplay when it was done. At film school, the only practical advice they could give was to enter our screenplays into competitions which receive thousands of entries. I didn’t have any contacts in the film industry, and even if I did, I wasn’t willing to spend years trying to pitch my screenplay to producers. So – I made it myself. Once I’d made the decision to actually produce the film, I had to go back to the screenplay and remove or change anything that wouldn’t fit within a limited budget (goodbye, music requiring copyright!) I tried to set realistic expectations for what I could achieve as a first-time screenwriter – ie to get an IMDb credit and prove I was capable of writing. 5. How much will the screenplay change during filming? I think one of the steepest learning curves I’ve had through this whole process has been letting go. The final product will never look like the version that exists only in your head – even if you do your best to convey this in the screenplay. Even if you are the director, filmmaking is a collaborative process with the actors, cinematographer, editor etc all bringing their interpretations of your words. And this is how the magic happens, as they come up with new ideas that you never even thought of. As soon as you hand over a screenplay, it no longer belongs to you. Because I was part of the filmmaking process, I had to be ruthless about slashing the script down to a manageable size even before we started shooting. Then I watched it evolve into the final film bit by bit – but screenwriters who don’t witness this transformation often get a shock when they watch the film at the premiere. 6. Is it worth taking a screenwriting course? I did a postgraduate certificate in screenwriting at one of Australia’s best film schools – and I honestly had mixed feelings about it. In some ways, I felt like a rather formulaic and limited view about screenwriting (and film in general) was being imposed on my script. On the other hand, it’s very helpful to at least understand the formulas, even if you want to break them later on. After I graduated, I felt like I had to refocus on what my vision was for the screenplay, not my teacher’s. But the best thing about film school is the space it offers to receive regular feedback from your classmates and teacher. It is difficult to find anywhere outside of a structured learning environment where you will have this opportunity. It’s also important to remember that not ALL feedback is necessarily good feedback. The comments you receive will often conflict with each other – so it’s a matter of cherry picking what is useful and discarding the rest. 7. What’s the path to becoming a professional screenwriter? I’m still figuring this out! I often wondered whether the three years I put into making the film were worth the effort. An independent film rarely makes money and will only ever be seen by a relatively small number of people. But I can say that off the back of making Zelos, I was lucky enough to be mentored by a producer who liked the film – and he has now offered me a paid contract for my next screenplay. My path is really only just starting, but the next steps only become clearer once you’re on it. Good luck! Claire J. Harris is an award-winning film producer and writer of fiction and screenplays, who has spent the last decade travelling, working and writing around the world. Her short stories and creative non-fiction have been published in Australia and abroad, including for Matador Network, Subtle Fiction, Gravel Magazine, Free State Review, Digital Americana and The Big Smoke, as well as a regular travel column in Litro Magazine. Her first feature film Zelos was released in 2017 – which she wrote and produced. She holds a Masters in Writing, and a Graduate Certificate in Screenwriting from the Australian Film Television and Radio School. In 2018, she was awarded first place in the Amnesty International Blogging Competition and Runner Up in the GMW Emerging Writers Competition. Claire is currently based in Melbourne where she works as a copywriter and screenwriter. Visit here website and Facebook page here!